One set belongs to the Lord. The other to the King. Both the Lord and the King are the same, of course, but by their title – uniquely different. How does one set – in the song let it rise, by holland davis – connect to the Lord? How does the other connect to the King? And what makes one distinct from the other? The first time the Bible records such a thing is in Exodus. No, not in the burning bush scene, but quite a few chapters later, specifically chapter 16. Moses and Aaron have led the Hebrews out of Egyptian captivity. They have seen miracles, signs and wonders. They have grumbled and complained and with each kvetch God has met their every need. You need to get out of captivity; I’ll provide a few plagues and a city-wide death on the firstborn of the Egyptians. You need to get through the Red Sea; I’ll part it for you. You need water that’s not bitter; I’ll have it come out of a rock. Sweet, too. And now you complain about food? Have you learned nothing? So Moses and Aaron said to all the Israelites, “In the evening you will know that it was the LORD who brought you out of Egypt, and in the morning you will see the glory of the LORD” (Exodus 16:6, 7a). This word, glory, in Hebrew is kawbode. It translates: glorious, abundance, riches, splendor. Imagine – in spite of what God has done for you – in a dark moment, you have cried out and said, “Show me your glory!” What you are saying is this: your glorious abundance … glorious riches … glorious splendor. David, that great songster, wanted to build a temple – a place to house the Glory of the Lord. But because of the blood on his hands – for David was a man of war – God would not allow it. He could design it and provide for it, but the honor of seeing it built would go to his son Solomon. The Word then says that David, along with some of the army’s commanders, set apart those who would carry out prophesying, accompanied by harps, lyres, and cymbals. All these men were under the supervision of their fathers for the music of the temple of the Lord… (1 chronicles 25: 6). These men trained – as soldiers – for singing the Lord’s songs. And what happens when we sing God’s songs, when we praise and worship him according to all his goodness and worth? His presence fills the temple (or our place of praise)! Let it rise! What happens when the Spirit of the Lord comes upon us? From the first judge mentioned in the book of Judges (othniel) to those of us who call ourselves believers in Jesus (See 2 corinthians 3:18), the Word of God speaks of every day men and women who are forever changed because of the Spirit of the Lord. Othniel went to war, Gideon blew a trumpet, Elijah was carried away, and those of us who are believers are changed into the image of the glory of the Lord. From glory to glory, the Word says. Let it rise! My second thought is of Jesus, entering Jerusalem, the Passover Lamb to the slaughter – though the people did not know it yet. Those who were there for the Passover feast, those who had followed him, adored him, had been healed and amazed by him, shouted their hallelujahs. I am them, I think. They are me. I have followed, adored, been healed and amazed by Jesus. He is the King of my heart, my life, my all. There is nothing in my life which I have not knowingly held from his Lordship and Kingship. He deserves every word, every note of praise I can possibly shout or sing. 2 Chronicles 30:26 says: So there was great joy in Jerusalem: for since the time of Solomon the son of David king of Israel there was not the like in Jerusalem. There had been David. There had been Solomon, his son. And now, there was Hezekiah, King of Judah, who had sent word to all Israel, Judah, Ephraim and Manasseh; an invitation to come to the temple of the Lord in Jerusalem in order to celebrate the Passover. It had been too long coming, the reinstatement of this most holy event. This time of worship and praise to the Lord and God of Israel. The couriers cried out, “People of Israel, return…” (2 chronicles 30:6b). And why was there such joy? Such euphoria? Because “The priests and the Levites stood to bless the people, and God heard them, for their prayer reached heaven, his holy dwelling place” (30: 27). God heard them … their prayers had reached heaven … his holy dwelling place. Let it rise! Throughout the Old Testament we read of freedom and captivity – from Egypt to Babylon, from Persia to Assyria. In the New Testament we read of Pax Romana, the Peace of Rome. Roman rule cannot pour out freedom. The people waited for a Messiah, one who would set them free from those who had held them captive for entirely too long. The only problem was … it was their own sin, the refusal to make God their all in all … their dance within the world and its trappings … which led to both their spiritual and physical captivity. And then a rabbi came from Nazareth declaring, “You shall know the truth … and the truth shall set you free” (john 8:32). You, no doubt, have heard those words before. But what comes after them? Those who were speaking to Jesus had flagrantly disregarded their own history and their personal sins against God. Before the conversation was over the people were protesting against illegitimate birth and Jesus was declaring a most important line about himself. "...before Abraham was born, i am!" It surely reverberated within them. "i am," God had said to Moses on that holy mountain. "I am … everything. All you need. All you will ever need. I am that I am." There's freedom in understanding that, isn't there? In knowing it? In declaring it? In holding it close to our hearts and allowing it to guide our lives? Glory, songs, and the Spirit of the Lord. Praises, joy, and the freedom of the King. 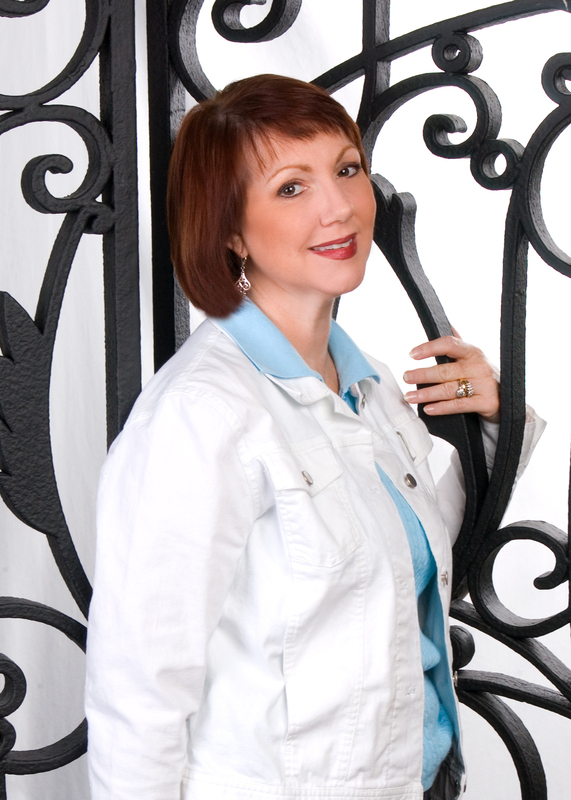 Eva Marie Everson is the award-winning co-author of reflections of god’s holy land; a personal journey through israel. Her latest release is with Baker/Revell, a southern novel, things left unspoken.